Starting this fall, "Sesame Street" will be brought to its millions of viewers by the letters H, B, and O. After 45 years as a jewel in the crown of public broadcasting, the iconic children's television program is moving to the cable network better known for such decidedly adult fare as "Game of Thrones" and "True Detective." The five-year deal, announced last week by Sesame Workshop and HBO, is a good-news story from every angle: good for the show's fans, good for the nonprofit that creates it, and good for anyone who never before noticed that there was always an obvious and reassuring response to the public-television slogan: "If PBS doesn't do it, who will?" If you love "Sesame Street" as much as, say, Cookie Monster loves cookies, your world is about to get a lot brighter. The move to HBO will enable Sesame Workshop to create 35 new "Sesame Street" episodes each year, nearly double the 18 it currently produces. In addition, it will launch a spinoff series based on the "Sesame Street" characters, as well as develop a new, original educational children's series. See what the private sector can do? HBO's interest in Bert, Ernie, Oscar the Grouch, and the rest of the gang isn't hard to fathom. Children's programming is lucrative, and one area in which the cable network has been facing stiff competition from Netflix, Amazon, and other streaming video services. With a brand as renowned as "Sesame Street" in its lineup, HBO is positioning itself to become a significant force in children's TV. For PBS viewers, meanwhile, very little will change: "Sesame Street" will continue to air on public television as always. In fact, not only will all the new HBO-funded episodes be made available to PBS and its member stations after a nine-month window, they will now get them free of charge. 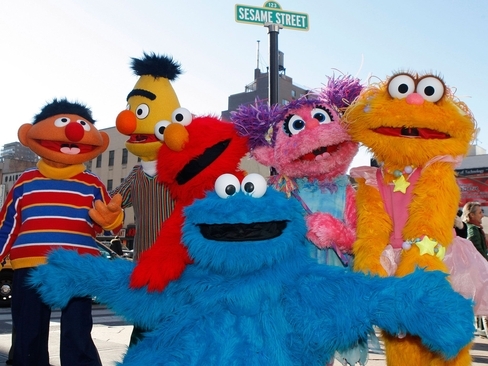 Hitherto, PBS had been paying Sesame Workshop $4 million a year in licensing fees. Now HBO will effectively cover those costs, and a good deal more besides. For decades, "Sesame Street" has been held out by advocates of public broadcasting as the archetypal illustration of the kind of high-quality programming that couldn't exist if it were deprived of its government subsidy. When Mitt Romney called during the 2012 presidential campaign for an end to government funding of PBS, the Obama campaign launched an ad mocking him for treating Big Bird as a national menace. In reality, "Sesame Street" has long been a merchandising behemoth — a hugely popular enterprise perfectly capable of thriving without a dime of taxpayer funding. The HBO deal only underscores how ready, willing, and able the private sector is to support almost any kind of television programming for which there is an audience. Never has that been as true as today, when cable, satellite, and digital broadcasters supply a limitless range of viewing options, and when the barriers to supplying video content of every description keep getting lower. Sesame Workshop operates as a nonprofit, but a shoestring operation it definitely is not. Its most recent IRS filings document net assets of more than $225 million; its revenues last year totaled more than $100 million. In licensing fees alone, the organization takes in roughly $45 million annually, and its investment portfolio — worth $158 million in 2014 — is a sophisticated mix of domestic and global stock funds, private equity shares, hedge funds, and other financial instruments. Scores of Sesame employees are paid hefty six-figure salaries. "Sesame Street," like PBS generally, is a big operation with a loyal following — a fine example of success earned the old-fashioned way, one satisfied customer at a time. It never needed a government IV drip, and the move to HBO confirms it. Taxpayer subsidies aren't the key to high-caliber broadcasting. In television as in so much else, the market responds to innovation, excellence, reliability, and productivity. In that sense, all TV should be considered "public" — and none should be on the government payroll. Does the press deserve a bailout?